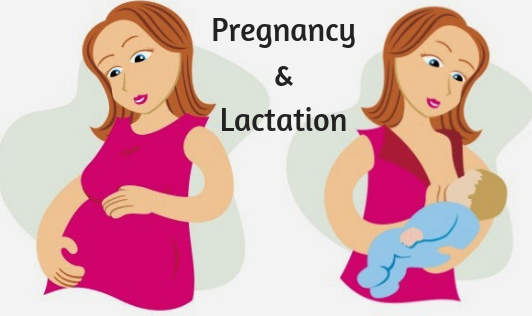 For a woman, good nutrition throughout life is important but during pregnancy and lactation, it causes for more concern. The body undergoes several changes during these two phases of life and thus the nutritional requirements also increase during these periods. For women who suffer from nausea and vomiting during the first few months of pregnancy, eating small frequent meals, avoiding fluids along with meals, and eating dry toast or ginger based biscuits first thing in the morning may help. Avoid smoking, alcohol and too much caffeine (not more than two cups of a coffee/day). Avoid binging on junk food, sweets, and fried foods-these provide little extra calories and could lead to excessive weight gain during/after pregnancy. Remember, what you eat and drink can affect both you and your baby. Moderate exercises like walking or yoga, during and after pregnancy can help you sleep better, reduce stress and keep you in better shape during and after delivery. Speak to your doctor before starting on any exercise regimen.